Summer in the city. Even for our kids living amid Chicago's violence, summers are filled with happy memories. Pickup games and playgrounds. Ice cream from a truck. Sparklers and fireworks. Splashing in the open fire hydrant spray. Family barbecues and birthday parties. And yet we know that while our kids experience so many of summer's quintessential childhood memories, they face its shadow side as well. Playgrounds they've been warned to avoid. The constant question of "fireworks or gunshots?" Evenings too dangerous to play outside. Birthday memorials that should have been parties. And for our teens, an awareness of the cost of living--rent, food, clothing--and the weight of finding a way to earn it. Summer, with both its light and shadow sides, is right around the corner. And R CITY's response--your response--is right around the corner as well. This summer, over 120 youth will engage at R CITY. We'll push swings and tie-dye t-shirts with 50 children in Dreambuilders. We'll play ball and process trauma with 30 junior high mentees in Peacebuilders. We'll build scaffolding and teach tuckpointing and practice working with 40 teen apprentices in Citybuilders. It will cost $135,000 in salaries and supplies and stipends, and every penny will be worth it. To earn this, we're using one of the best things summer has to offer: the sun. 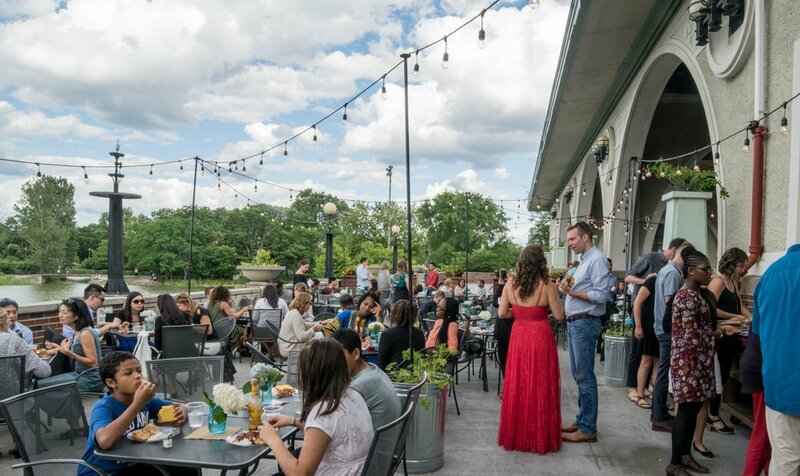 On June 24*, we'll gather on the terrace overlooking a sparkling Humboldt Park lagoon for happy hour and dinner. We'll laugh, eat, drink, and be inspired, and we'll find a way in our common generosity to make summer bright and beneficial for these 120 youth. Will you join us--and bring a friend? Come take a moment to celebrate your own #summerbrightandbeautiful, and to make one equally brilliant for Chicago's youth. Click below to RSVP or to give your gift today. * Are you a Minnesotan? Your benefit is August 1. We can't wait to see you there! Newer PostJoin us for Summer!